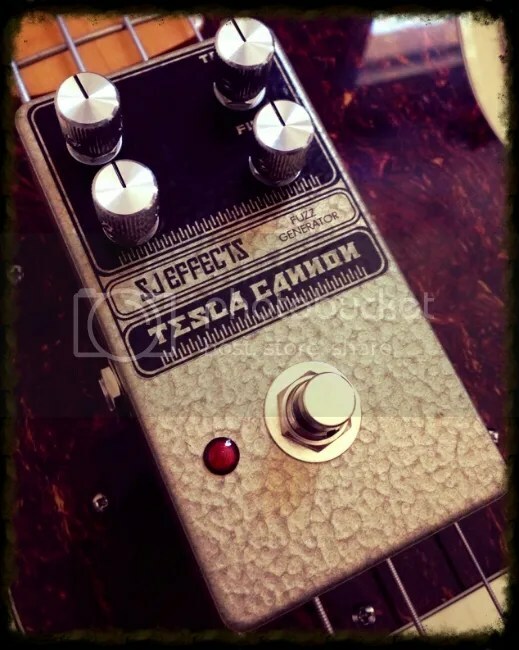 I have added a page for another addition to my ‘Standard’ line of pedals that I build; the Tesla Cannon Fuzz! I have been building this circuit for a while now for my clients, and have tweaked it to the point where I feel it meets all the requirements, and tonal characteristics, I look for in a Muff style pedal. I really love this pedal, and I hope you will too. You can also navigate to the Tesla Cannon product page using the pedals menu above. I will be uploading more sound demos (and a video) soon. This entry was posted in Uncategorized and tagged big muff, big muff mids, big muff mids switch, custom big muff, custom effects, custom fuzz pedal, custom fx, custom guitar effects, custom guitar pedals, fuzz pedal, hoof, mayo muff by sjeffects. Bookmark the permalink.